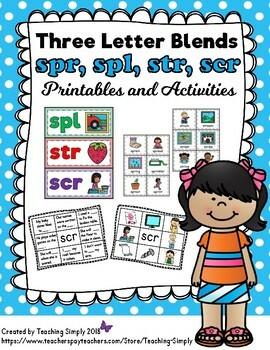 Puzzles, sorts, printables and games for initial, three letter blends scr, spr, spl, str. 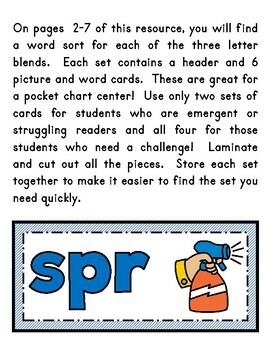 Great for all levels of students. 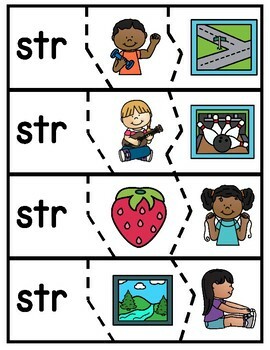 Easy to use for differentiation and scaffolding instruction! Pages 42-43: Write the blend next to the picture. 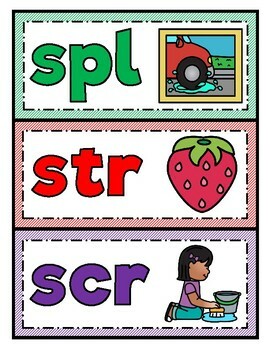 Page 44: Write the blend, read the sentence, and illustrate.